Automate your Cloud Operations blog post Part 1 have given us the basic understanding on how to automate the AWS stack using CloudFormation. This post will help the reader on how to layer the stack on top of the existing AWS CloudFormation stack using AWS CloudFormation instead of modifying the base template. 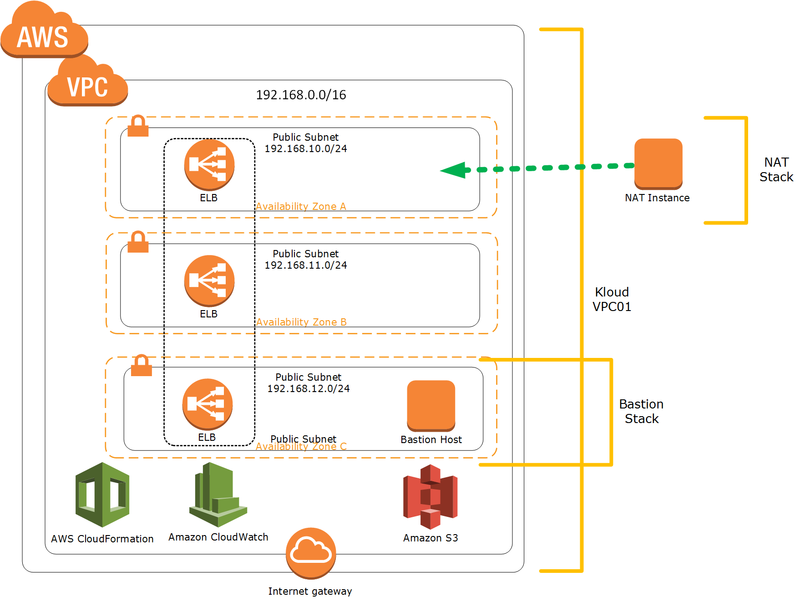 AWS resources can be added into existing VPC using the outputs detailing the resources from the main VPC stack instead of having to modify the main template. This will allow us to compartmentalize, separate out any components of AWS infrastructure and again versioning all different AWS infrastructure code for every components. Note: The template I will use for this post for educational purposes only and may not be suitable for production workloads :). Create IAM user that can find out information about the stack and has permissions to create KeyPairs and actions related. Next we need to connect and validate the bastion host instance also “cat” out the bastion keypair. You can use PuTTY or Git Bash for Windows users or OSX Terminal for OSX users. It is important to design the VPC with security in mind. I recommend to design your Security Zone and network segregation, I have written a blog post regarding how to Secure Azure Network. 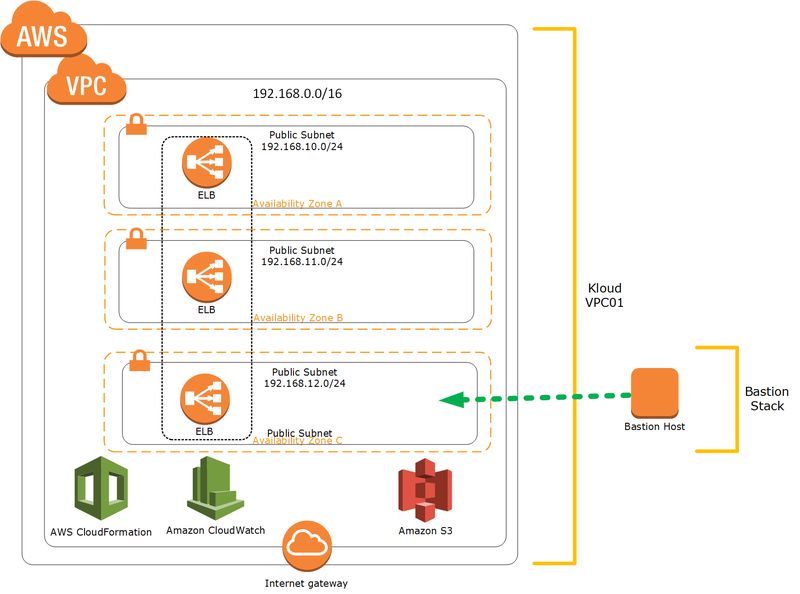 This approach also can be impelemented on AWS environment using VPC, subnet and security groups. At the very minimum we will segregate the Private subnet and Public subnet on our VPC. NAT instance will be added to our Initial VPC “public” subnets so that the future private instances can use the NAT instance for communication outside the Initial VPC. We will use exact same method like what we did on Bastion stack. Hopefully after reading the Part 1 and the Part 2 of my blog posts, the readers will gain some basic understanding on how to automate the AWS cloud operations using AWS CloudFormation.